A 30-year-old man was given suspended sentences totalling five months when he appeared last Friday at Craigavon Magistrates Court. Christopher Barry Carlisle, Lakeview Court, Craigavon, was given four months, suspended for three years, for disorderly behaviour on July 24 this year. He was also sentenced to one month, to run consecutively making five in total, and suspended for three years for possession of cannabis resin on April 4 this year. The court heard that on July 24 police were tasked to locate a vehicle which was found in Westland Road, Portadown. It was stopped by an armed response unit and Carlisle started shouting abuse at them. He had alcohol taken and was warned about his behaviour but continued and was arrested. 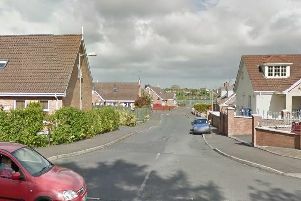 On April 4 police stopped and searched Carlisle and found a block of a brown substance in his left hand trouser pocket. A solicitor representing the defendant, referring to the disorderly behaviour offence, felt that Carlisle felt he was deliberately being targeted by the police and they had no reason to stop him. He added that concerning the drugs offence it was only a small amount of cannabis and was for his own personal use. District Judge, Mr Mervyn Bates, said Carlisle’s record contained a litany of offences and it was no wonder the police were interested in him. He added that the only question was whether the custodial sentences should be immediate or suspended. Carlisle’s solicitor said his client had a chronic drink problem and that in the past suspended sentences had an effect on him.